I don’t have much to say about this one. 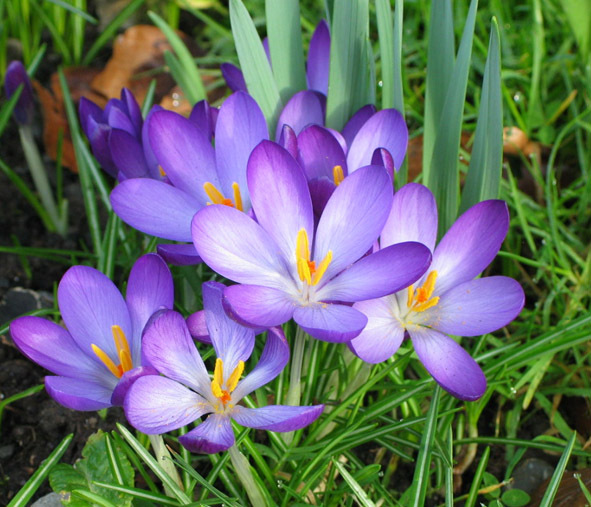 The beauty of the crocus speaks for itself… ENJOY! 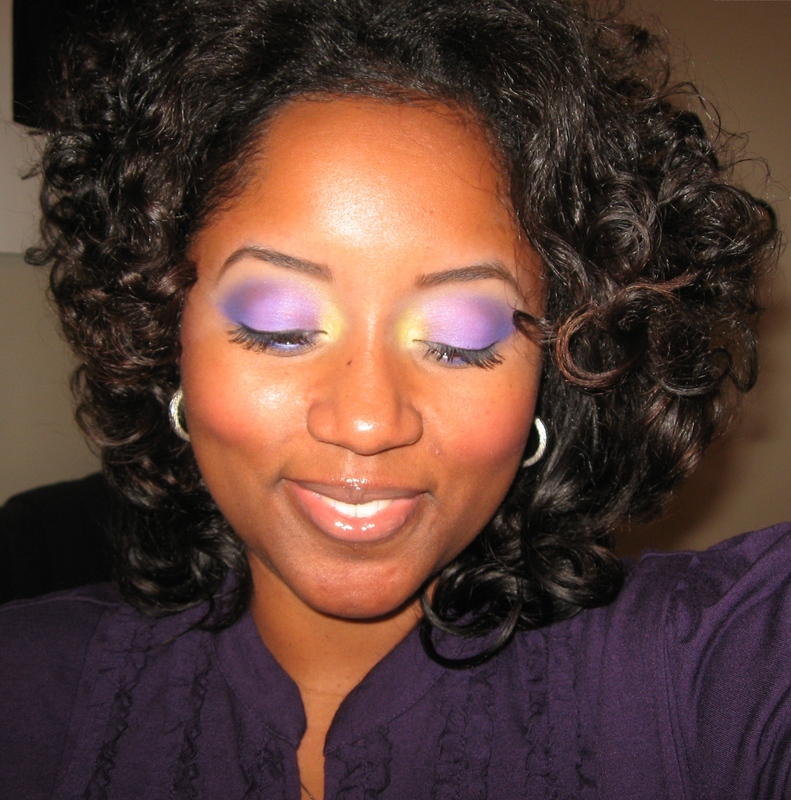 SHADOW: I covered my lower eyelid in bright purple (Shany 120 palette), then I used canary yellow mica powder (Coastal Scents) on my tearducts to mimic the yellow stamen of the flower. I used a combination of dark purple & royal blue (also Shany 120 palette) on my outer v to mimic the royal purple on the tips of the crocus petals & matte camel (WNW Vanity) to highlight my brow bone. OTHER DETAILS… I used CoverGirl single e/s in Smolder to define my eyebrows. L’Oreal Collagen Mascara in Blackest Black on my eyelashes. I defined my upper lashline with Wet n Wild cream eyeliner in black. 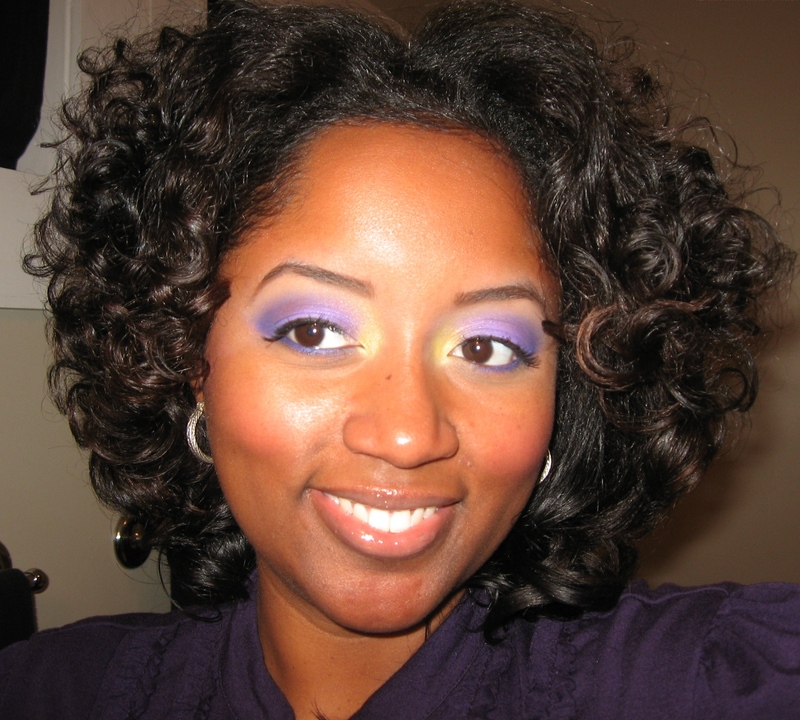 On my waterline I used Wet n Wild eyeliner pencil in lilac & followed it up with more royal blue e/s (Shany 120 palette).